The Little Blog Dress: Support Food Brings Hope This Wednesday at Jersey Mike's! Support Food Brings Hope This Wednesday at Jersey Mike's! 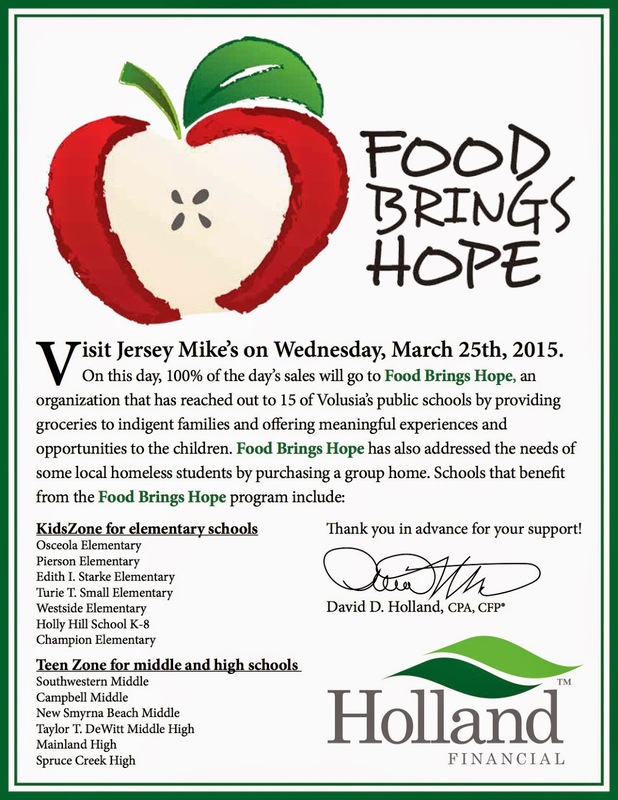 Sponsors like Holland Financial invite you to visit Jersey Mike's on Wednesday March 25 as 100% of the day's sales will go to Food Brings Hope!